If you stopped by Bondville last week you would have noticed a post about the gorgeous French styling of children's label And Me Too. This week we welcome this wonderful brand as a sponsor of Bondville. You'll find classic clothes for boys and girls including stripey tops, floaty dresses, cool jeans, knitwear, accessories and a killer raincoat. For more information check out last week's article. You can find And Me Too children's clothing at the online store as well as stockists around Australia. 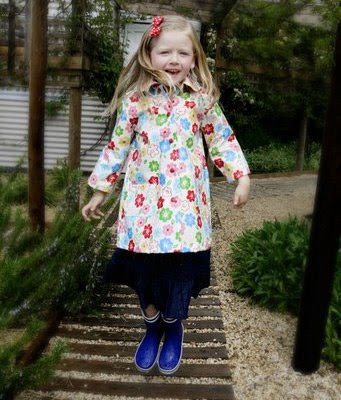 That is the cutest little raincoat ever! Hi The Cottage Cheese - yes so sweet; the whole range is lovely.